A Soldier who Changed History? 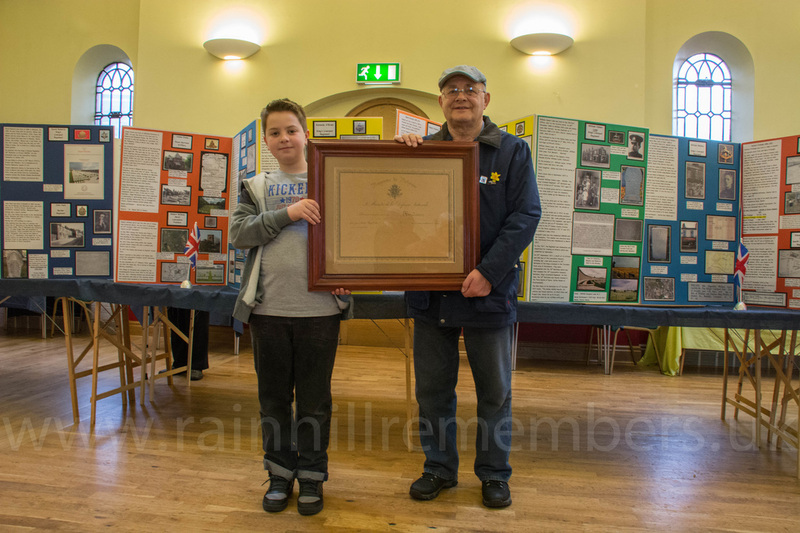 At our WW1 Exhibition in November 2015 we had visits from pupils of Rainhill High and Tower College. 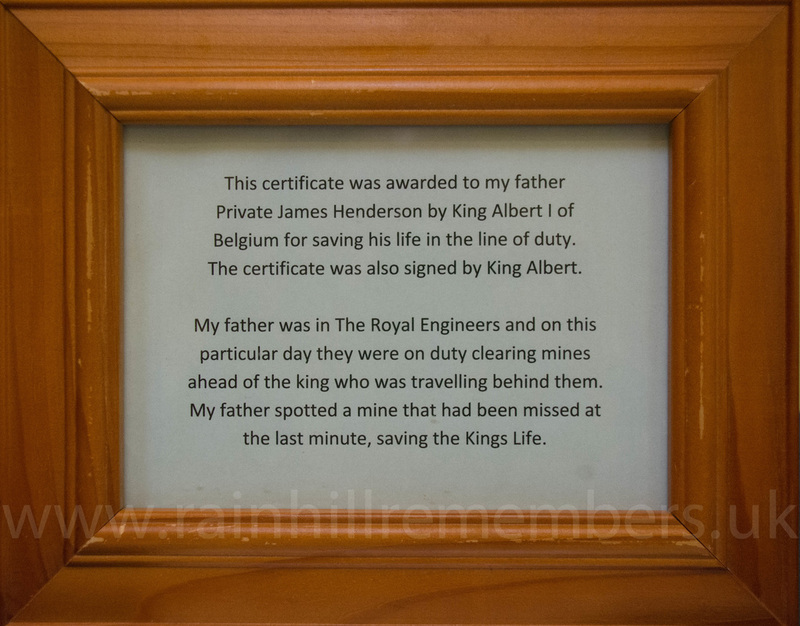 Harry McIntyre, a pupil at Rainhill High, told us of his great-grandfather "who saved the life of the King of Belgium"! 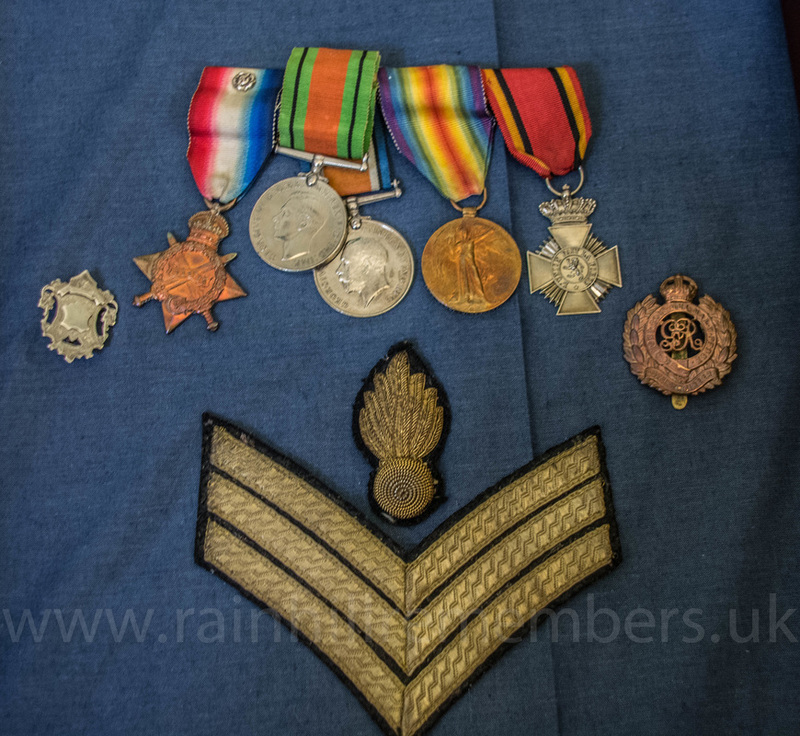 No doubt noticing a raised eyebrow or two, Harry decided to return a few days later, not only with his grand-dad (Joe Henderson), but also with certificates, photographs and medals to prove his claim! It turned out to be a fascinating story and Harry and his grand-dad stayed for several hours happy to show visitors their little piece of history. ​Below are a few photographs taken on the day. 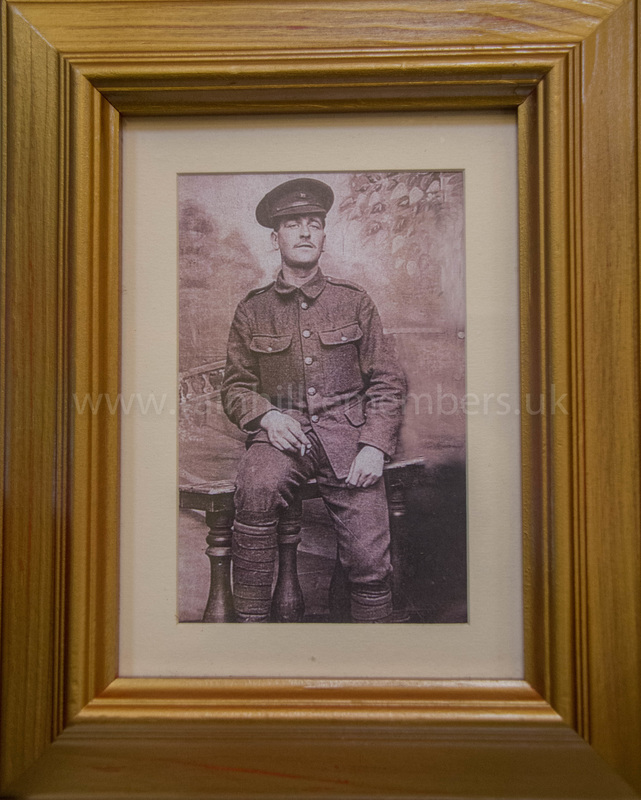 ​The picture above is of Private James Henderson of the Royal Engineers. In 1919 he was on mine clearing duty prior to an event attended by King Albert I of Belgium. With the King travelling behind him, James noticed a mine that had been missed and thus avoided the King being killed. 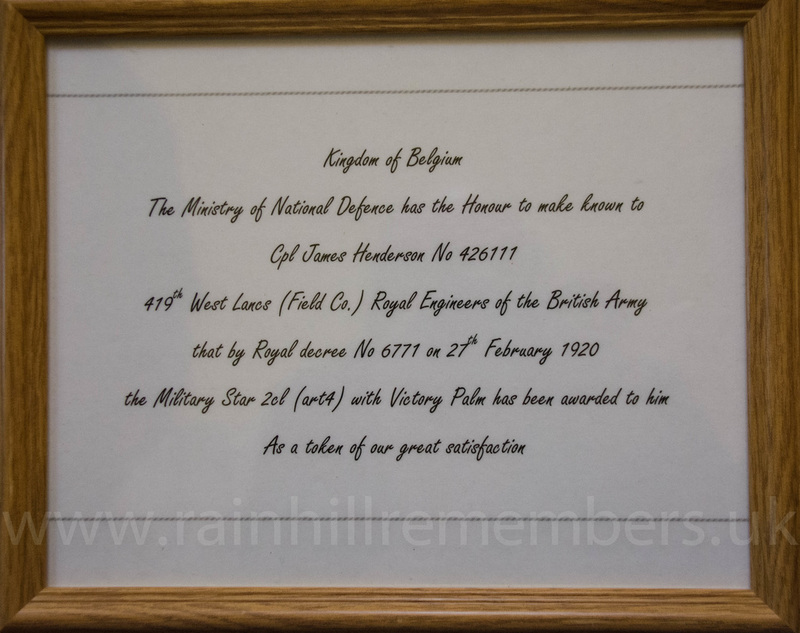 In 1920 James was awarded the Military Star with Victory Palm by the Kingdom of Belgium.